I'm not sure if I've mentioned it on here before, but in my family we love books. We tend to quote children's books in the way that other people quote movie lines. There are certain words and phrases that just can't be spoken in our house without at least one member of the family finishing the book quote. Scallywag may only be 3 years old, but over the last couple of years he has perfected the art of pinning adults to the sofa, handing them a book and demanding "YOU READ IT!!! ", and don't expect to be allowed to escape with just one rendition- oh no! The books that tend to win their places in our hearts are ones with rhythm and energy. The ones that you memorize almost immediately and from then on have fun adding expression and feeling when you read them. 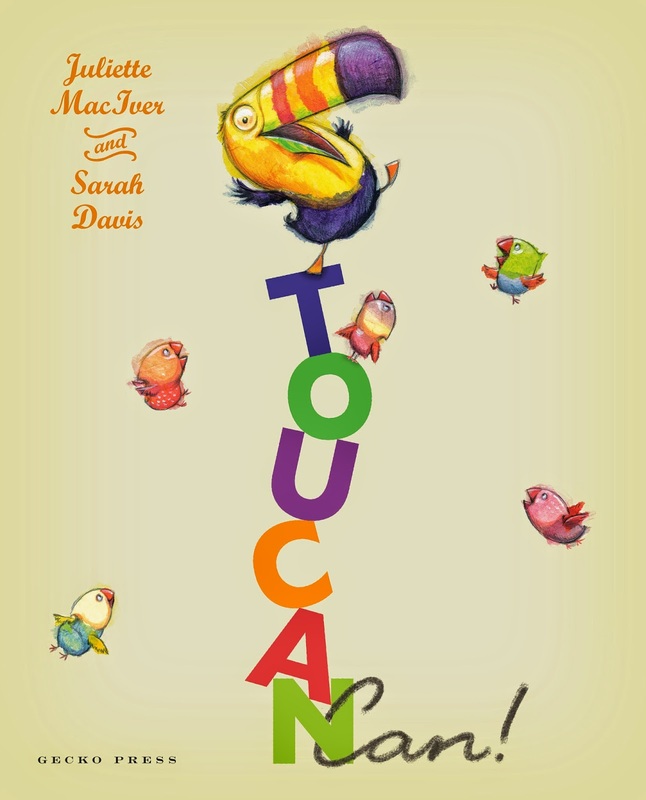 We were really thrilled to be sent a review copy of Toucan Can by Juliette MacIver and Sarah Davis as part of the New Zealand Post Book Awards for Children and Young Adults 2014. Toucan Can really ticks all the boxes for us. There is an undeniable energy to the words; the rhythm is infectious and there is a great pace and energy in the way that its written. Can you do the cancan too? One of the things that I loved is the way that it pulls children into the story and invites them to have a go at dancing, kung fu and all kinds of physical activities. After being given a quick demonstration of a cancan, my son now jumps up and tries to dance a cancan whenever we get to this part- its hilarious! His version of Kung Fu is almost as funny, I love it (a definite highlight of any day)! Anything that encourages children to be active is no bad thing in my book. The fun of the words would be nothing without the illustrations. Sarah Davis has drawn Toucan to be every bit the preening show off that you would expect. He prances and preens, he tumbles, stomps and flops (even Toucan has his limitations!) The bright colours are irresistable to children and the detail is beautiful. As the story picks up pace, there is more and more to see in the illustrations. Your eye will never become stuck looking at the same part of the page. You might be wondering what age group the book is suitable for. Well, as I mentioned already- my son is three years old and the book is an absolute hit with him. It is also incredibly popular with my five year old daughter. She read the whole book to me last night (although admittedly she needed help with some of the long words such as salamander). Both my children cackle with laughter at Toucan's exploits- the sign of a great children's book- don't you think!?! All of us would happily recommend it to anyone who asks! Come back soon and I'll tell you a bit more about Sarah Davis, the book's illustrator and if you stick around a bit longer then there will even be a Toucan giveaway with a Tartankiwi twist coming very soon. I was sent a copy of this book to review, but all opinions expressed are my own. My eldest daughter saw me reading this blog post and said that she had discovered that book at school and enjoyed it, I am new to it though! I can imagine that any children's book would be a hit with children if Gecko Press is behind it, such a great publishing house. Sounds like a great book! thanks for letting us know about it. I hope that mean you've got pp toucan's on the brain :) Or maybe some books? This one would be a hit around here too! It sounds and looks so happy and fun! Great review Juliet! 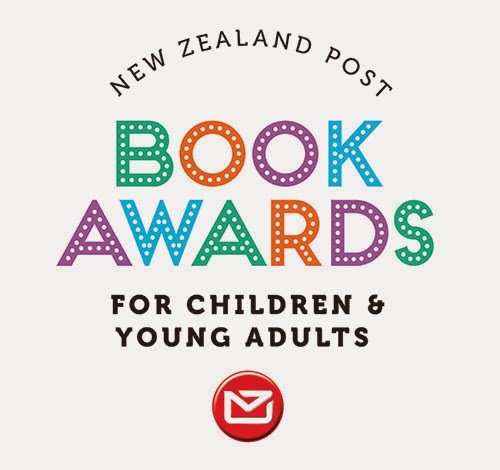 I love recommendations for new NZ children's books. The spread of reading ability in the 13 year old I teach is huge. The more reading they do before they start school, the better!